[I]n April, Manchester United midfielder Adnan Januzaj finally picked his country. The oddsmakers were right, and he selected Belgium over a palette of other national shirts: Albania, Serbia, and Kosovo (through his parents), Turkey (through his grandparents), and, if you asked the English, maybe even England. The choice ended a months-long debate over the well-hyped youngster’s place in international soccer, one intertwined with statutory technicality and plain old jingoism, the latter best captured by the name of an Albanian TV program about Januzaj: Hero or Traitor? Januzaj made it onto Belgium’s World Cup roster, and even though he’s not likely to make an immediate impact due to the country’s stacked lineup, the disputes have raged on. Claiming players for national teams has become a sport unto itself, as countries from Spain to Togo to Qatar have found ways within and around the FIFA rules to add talent that’s hardly home-grown. Controversy boils over when it comes to choosing national teams for one simple reason: Nationality, in the context of international soccer, doesn’t exist. People argue about FIFA’s nationality rules because they’re concerned with fairness, a notion elusive in club soccer, where prestige, size of fanbase, and most of all money determine cup winners and table toppers. But the more you think about nationality, the more slippery it gets. In the lengthy FIFA statutes, the sport’s governing body outlines in painstaking detail its guidelines for dual-nationals. There are a handful of conditions that allow a player to make a one-time switch of association (including the place of birth of a grandparent), provided the player never participated in a match sanctioned by FIFA as “Official Competition at ‘A’ international level for his current Association.” In other words, the second Januzaj steps onto the field with Belgium’s senior team in anything other than a friendly, he’s cap-tied to the Belgians for life. The kind of nationality that you and I and FIFA are interested in isn’t a real thing (nationality as a legal status is, though it varies for different countries). Ask a historian. There have been countries and states and empires for thousands of years, but people have had nationalities only for the past few hundred. Nationalities are imagined communities of people who share certain traits, but there are no standard rules for what those traits might be. Is your nationality simply where you were born? Is it your ethnicity? Is it the language you speak, or the traditions your parents gave you? 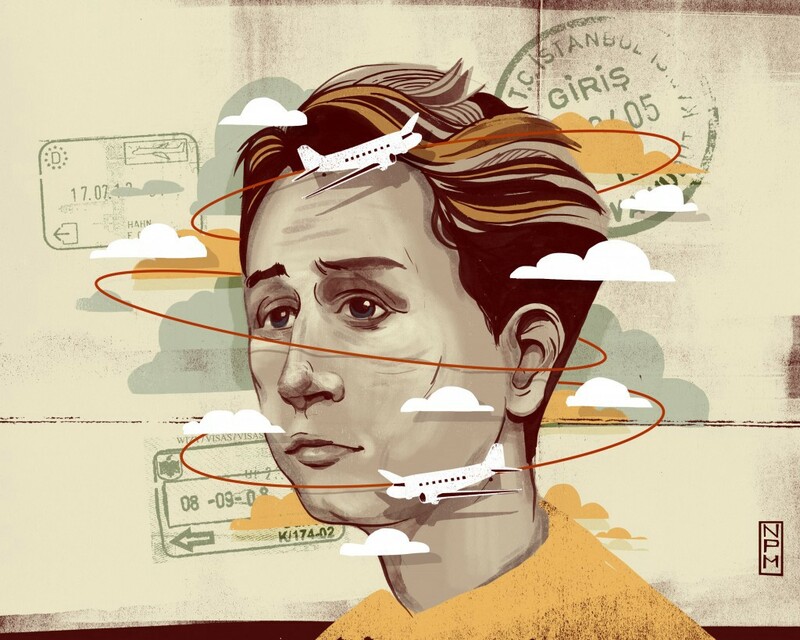 Is it the color of your skin, or your flag, or your passport? It’s virtually impossible to put together a set of rules that will satisfy everyone, because there is always an exception that will prove unfair in practice. One might be tempted to say, “Screw it, here’s the simplest solution: You play for the country where you were born, and that’s final.” U.S. fans have been tempted by this choice because of New Jersey-born Giuseppe Rossi’s choice to suit up for Italy. But that, too, gets complicated: Should a player born in Crimea now be forced to play for Russia instead of Ukraine? What if a player was born in one country, but spent his whole life minus a day in another? The textbook example is 2006 World Cup champion Simone Perrotta. Born to Italian parents in Ashton-under-Lyne, England, his family then moved (back) to Italy when he was 4 years old, and he has stayed there. Why shouldn’t he represent Italy? I’m glad that Ashton-under-Lyne was proud enough of him to build him a statue, but how much credit can England really claim for producing his talent? Then you get the guys who earn nationality by way of ancestry, which rarely seems logical. Why should Jack McBean (born and raised in California) be Scottish? Why should Thiago Motta (Brazil) be Italian? Why should Jermaine Jones (Germany) be American? Then there’s the fun example of Tony Cascarino: Born in England to Italian parents, he represented Ireland on the basis of what he eventually revealed was an adoptive Irish grandfather. Some players should be able to naturalize, most would agree. If you’ve lived somewhere long enough to become a citizen and have the same legal rights as any native accountant or janitor or soccer superstar, and you consider it your home, then why shouldn’t you be able to play for your national team instead of being shipped back to a homeland you barely even know? But if you consider competitive balance a virtue, naturalization based on time spent in-country helps the stronger teams nine times out of 10. With the recent exceptions of Qatar and Saudi Arabia, no one is plying his soccer trade in a country that doesn’t already have a monster national side (we’ll even include England). The top leagues attract global talent, and whether FIFA requires two years of residency or five for naturalization, that makes for a crop of multinational players wearing Spain, France, and Germany jerseys. Diego Costa is the naturalization outrage of the moment. Born and raised in Brazil, Costa was roped into a Barcelona academy in São Paulo, whereupon his professional career took him to Portugal and Spain. He has lived in Spain off and on since 2007, and he became a Spanish citizen in September 2013. So, in March of this year, the Atlético Madrid star chose to represent Spain, as was his right under the FIFA rules. And everyone associated with the Brazilian national team freaked out. Nothing’s more patriotic than rooting for a guy who chose to be there. 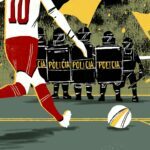 Brazil has always lost talent to naturalization rules thanks to the international club academies within its borders, but until recently, it didn’t care. The country produces such a ridiculous excess of global soccer talent that they could spare a few dozen international-quality players without weakening their own side. Turkey’s Mehmet Aurelio, Croatia’s Eduardo, and virtually the entire 2004 Togo squad were all Brazilian-born, but none were so great as to cause the level of panic we’re seeing from Diego Costa’s laundry swap. Brazil’s national team has gone long enough now without high-level success that they are starting to see players who could star on their team upgrade to other, better national teams. If they win the World Cup this year, maybe that will change. Some players only choose the best team they can start for, but there are certainly players who have real, emotional attachments to nations that it would be cruel to regulate against. Patrice Evra is a great example. He was born in Dakar, Senegal, but left soon after his first birthday. He chose the French national team over Senegal, and he faced abuse from the Senegalese for his decision. “I was called a monkey who grovels before the white man and labeled a monkey-obsessed traitor to the nation,” Evra said during the 2010 World Cup. “I had not been back to Senegal since the age of 10. I have still not returned. It is 19 years now and I need an incentive to make me go.” A stricter set of FIFA rules would force him to play for Senegal, a country he barely remembers. This comes up a lot for the French. Diversity was a source of pride for their 1998 World Cup winning team, nicknamed the “Black, Blanc, Beur” (black, white, Arab) side, but the climate has changed since. In fact, only two members of France’s 2010 World Cup squad were born outside of France (those being the captain Evra and backup goalkeeper Steve Mandanda), but the majority of the team had dark skin. The controversial players are virtually all second- and third-generation Frenchmen, but the skin color and religious differences are hard for some people to overlook, and that includes the French Football Federation. In April 2011, Mediapart reported on a November 2010 FFF meeting in which the country’s top soccer officials discussed placing a quota on minority players within the national youth training program. Worse, according to the report, FFF officials endorsed the quota because they believed it would give the team a more strategic, intelligent style of play. Nationality is a thorny topic anywhere, and the way it interacts with politics and race and xenophobia makes it kind of an unsettling thing to base a sporting competition around. Letting players pick their teams within fairly lax guidelines may be the simplest solution to this complicated problem; nothing’s more patriotic than rooting for a guy who chose to be there.